This is a collective haul I did within January. 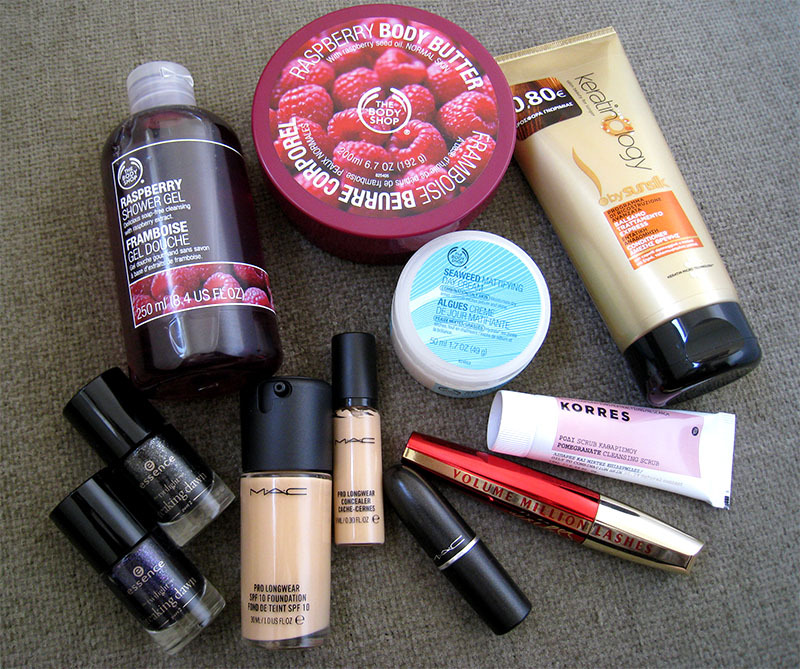 They had awesome sales this month at Mac and at The Body Shop and since I was in need of a few things I said why not? It's propably one of my favorite body butters from The Body Shop, after the Shea one of course. I used to love it 5 years ago, before they discontinued it, and now that they brought it back for a limited time I had to get one. It smells so fruity and delicious, like a raspberry flavored yogurt! Also the texture of this body butter is amazing, it's not thick like the others from The Body Shop , it's more like a cream, a thicker body lotion I should say. The Raspberry Shower Gel was a promo that the Body Shop was doing, if you spent 20 euros you'd get a shower gel for only 1 euro, you could choose between this and the Almond one, snd of course I chose the Raspberry one! This is one of my HG foundations, I've already mentioned it a few times, and because the one I have is running low and Mac had a promo for 35% off I had to get a new one. It's one of the best long lasting foundations I've tried so far, and it doesn't look cakey at all. I wasn't so sure if I should get the NC20 or the NC25, but I sticked to the same shade I was using, the NC20, maybe for the summer I'll get a darker one. So since the 35% off at Mac was so tempting I decided to try the Pro Longwear concealer too, because I've read so many raves about it. I've tried it a couple of times, but I'm not so sure if I like it or not. First of all I think I've chosen the wrong shade for my undereye circles, because it makes them look greyish. I'm not sure if it's because it's yellow toned or maybe it's a tad too light for me. 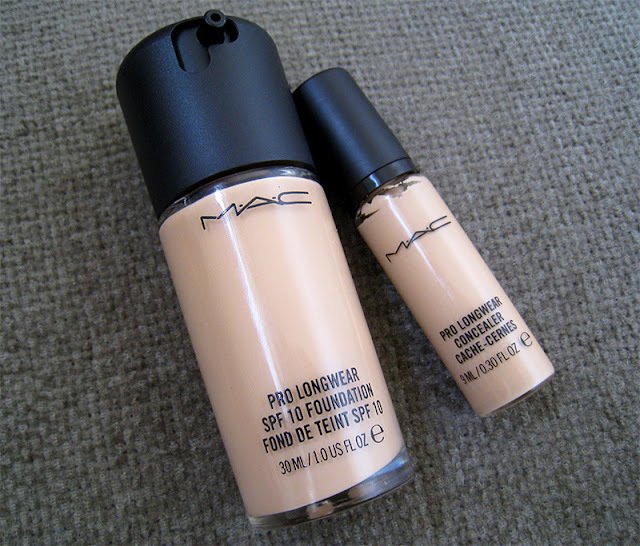 I've experimented with lots of Mac concealers, all of them were NW shades, right now I also have the Studio Finish one in NW25 and I thought it was not covering that much but I think it looks better than the NC20 so I should propably stick with the NW shades in the future. The texture of the Pro Longwear concealer is a little too dry for my undereye area, even with an eye cream under, and that is weird because it's even drier than the Studio Finish, which is supposed to be the most drying concealer that Mac has. Even though it doesn't work that well as an undereye concealer overall I think it's a good face concealer, for pimples and redness. 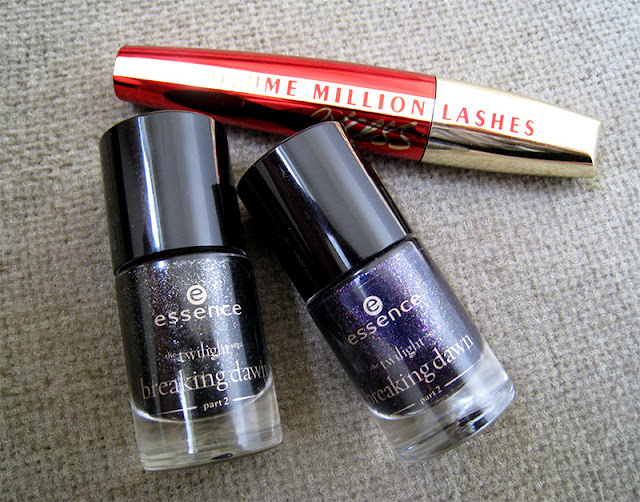 A month ago I was lucky enough to grab the only 2 things I wanted from the Essence Breaking Dawn Part 2 collection, 2 nail varnishes! It's too hard to find here a full display at the Essence counter, everytime they are sold out of what want! Alice Had A Vision-Again is a gorgeous blackened purple shade with purple and green microglitters. Edwards's Love is a black shade with silver and green microglitters, but the silver ones stand out the most. I have to mention that I'm not a fan of the Essence regular nail varnishes, I prefer their limited edition ones, I find that they have better quality. I've mentioned so many times that I love L'oreal mascaras, the ones I've tried within the 2012 were amazing! My only problem is that they are too expensive to be called drugstore mascaras, so I always look for offers, this time they had their newest one with 5 euros off, the Volume Million Lashes Excess. I've never tried the rest of the Volume Million Lashes mascaras so I can't compare them. It has a plastic wand, and I'm not a fan of those, it claims to maximize and seperate your lashes. First of all the plastic wand is very different from other mascaras with plastic wands that I've tried, it's quite bendy and it doesn't hurt or poke my eyes everytime I use it , like the Benefit They're Real for example. The results are that it really does seperate my lashes, really well, and makes them longer but when it comes to volume it's a no no, it doesn't give any volume at all. Also it doesn't hold my curl, and keep in mind that I always use a curler before. Overall this mascara didn't really impress me, I prefer the Lash Architect 4D and the Mega Volume Collagene 24H way more! This is the only lipstick I liked from the Apres Chic collection, and I got it with B2M. 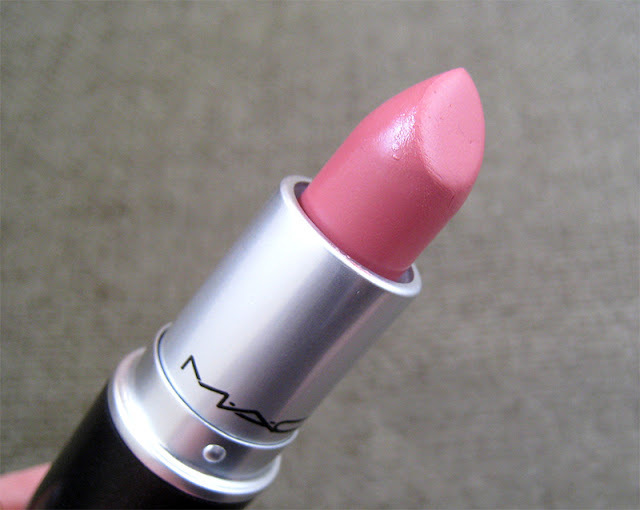 It's so weird that after all these years buying Mac lipsticks it's the first time I'm trying an Amplified one! I'm not so sure if I like the amplified formula though, yes it is very creamy but it's very opaque and emphasizes every single dry part on my lips. 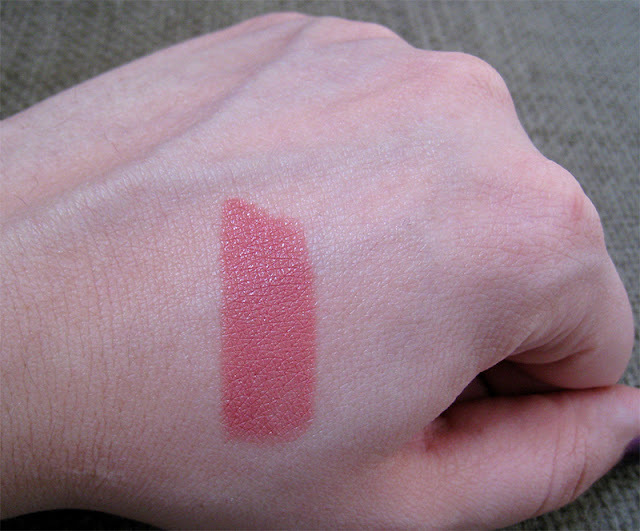 Nevertheless I do love the shade, it's a medium pink with subtle blue undertones, great pink for springtime. I think I've found my HG moisturizer! I first bought it last year around Easter time, at first I thought it was breaking me out so I stopped using it for a few months, and I rediscovered it around November, I experimented a lot and I figured out that it wasn't breaking me out after all, it must have been something else. Now that my skin is back to normal I'm using day and night and because I hit pan, I got a new one with 20% off. I've tried lots of gel moisturizers, from high end to drugstore ones, and all of them made my skin like an oily mess after an hour, I never have that problem with the Seaweed one. Also it's the perfect moisturizer to use under a foundation, and for those who have oily skintype, they know that finding a moisturizer that works well under a foundation without making you oily it's almost a miracle! My HG face scrub hands down! 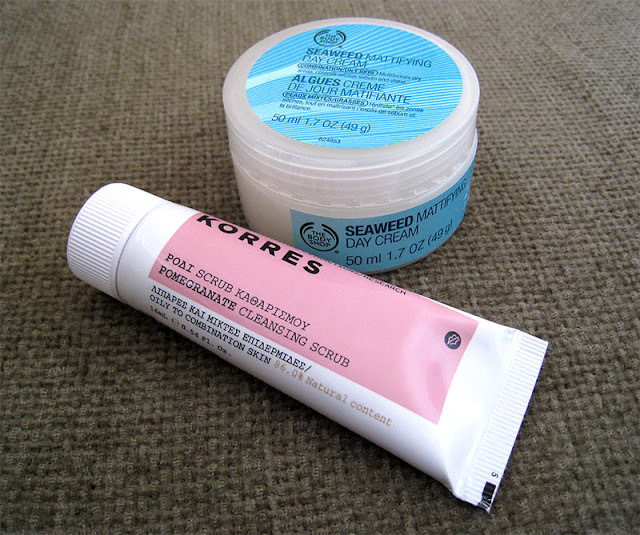 I think Korres makes the best face scrubs ever, this and the Olive one are the ones I love the most! The Pomegranate makes my face so smooth, and the smell is so fresh that makes me wanna use it every single morning but I can't, otherwise I'll destroy my face. My only complain, why Korres don't you make them larger? I mean 16 ml, it's just so so tiny! Keratinology is the new hair line from Sunsilk, at least new here in Greece. And since I love Sunsilk products I decided to try the conditioner to see if i like it or not. I'm always looking for drugstore hair products that contain keratin, to see if they will help with the strength of my hair. I've only tried it twice, I haven't noticed any difference on my hair, but I'll keep using it to see if it works or not. 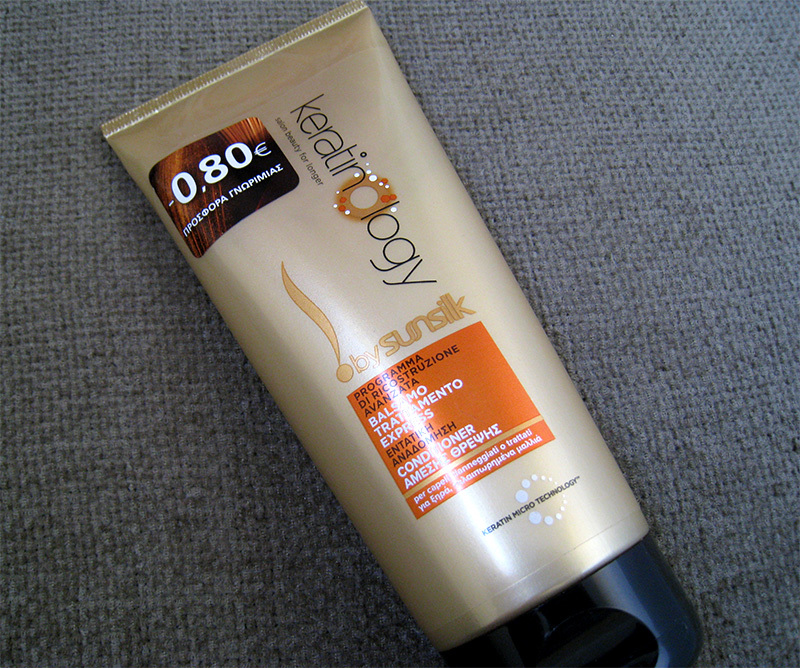 The Keratinology line also have shampoos and masks for dry and for colored hair. I may try the mask in the future if I see that the conditioner is too week. So have you try any of these products? Do you like them? Thank you!! Yeah I find that the purple one is a very unique shade! Hahahaha!! You should try the Collagene 24H one though, it's amazing! haute altitude hah?? ?I thought I could pass the lippies from this collection but I keep seeing them around!don't tempt me! !korres pomegranate series has really good scrub and mask!as for the prolongwear concealer I think it covers better than the studio finish and I have both nw20 and 25 but I always add on top prep'n'prime highlighter in light boost! Aww I think I'll have to get an eye brightener, since every single concealer looks the same on me. I saw the ones from Bobbi Brown at their site and now I'm really tempted to buy one. 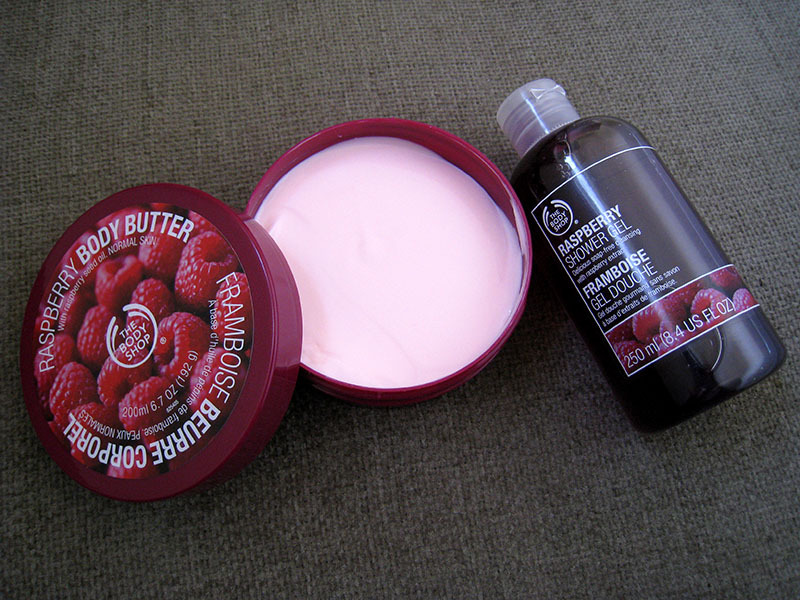 Hehe, I also got the Raspberry shower gel! Whenever I have dry patches every foundation that is formulated for oily skintypes looks horrible on me, but La Roche Posay's Cicaplast under the foundation really helps! Pro Longwear is a long lasting foundation so it can look a little cakey but is definitely less cakey than the Studio Fix and the Matchmaster, which btw is really horrible!! I compared it with Estee Lauder's Double Wear and I find them quite similar, Double Wear provides a little more coverage, but I don't like their shades. Σ'ευχαριστω πολύ! Δυστηχώς ναι, οι limited collection στα Mac φευγουν γρήγορα μιας κ φέρνουν λίγο απόθεμα. Thank you so much for nominating me for the Versalite Blogger Award!! I really think I have to try the Erase Paste one day, it's definitely in my wishlist, thanks!